Belhaven University student Kerry Jones had his Thanksgiving all planned out. The freshman from Texas saw himself stuck in Jackson eating a cheeseburger and drinking a Frosty at Wendy’s, longing for a home-cooked meal. That all changed when he walked into his English class this week and his professor, Don Hubele, offered students a meal at his home. 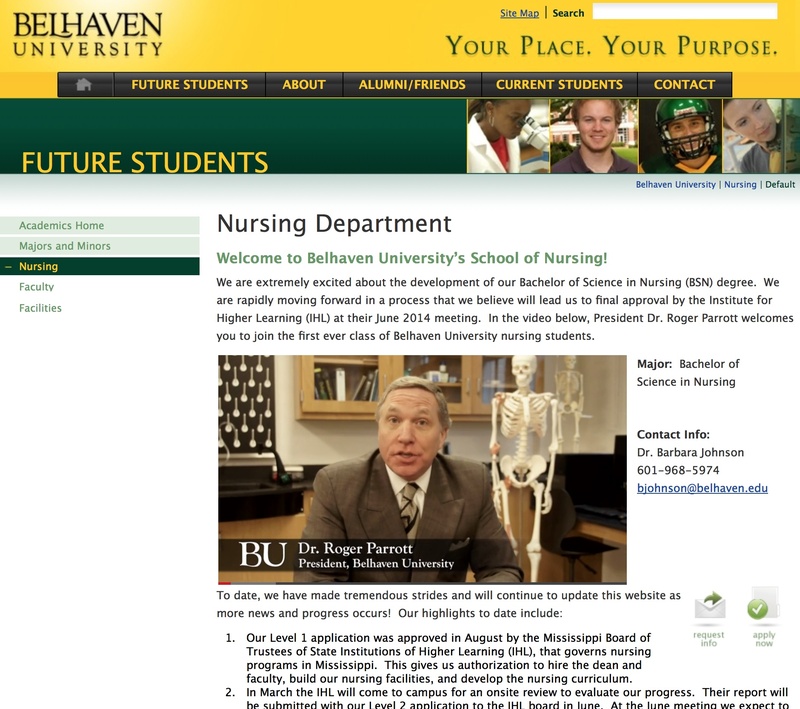 The home of Hubele and his wife, Donna, has become a home away from home for Belhaven students over the years. Students and professors mingle at Halloween parties, enjoy a Thanksgiving dinner or drop by for a sandwich on a Tuesday afternoon. “Someone is always over here every couple of days, it seems like for one reason or another,” Donna Hubele said as she finished whi pping mashed potatoes for a crowd of 22 people in her Belhaven home blocks from the university, where her husband is the English Department chairman. The Hubeles have hosted students and faculty at Thanksgiving for four years. The annual event began after a few students let Don Hubele know they had nowhere to go for a Thanksgiving meal. Seventeen people — mostly dance students — attended that first meal in 2010. The afternoon ended with somewhat of an impromptu performance. A few faculty families joined the second year, including music professor Christopher Shelt, who led a band of troubadours with a Scottish drum, guitar, fiddle and accordion in a front-yard performance. “We had people do-si-doing in the driveway,” Donna Hubele said. This year’s feast was complete with a spread including a 22-pound turkey, ham and a litany of side dishes. There was even a gluten-free cake to help feed the guests who hailed from as far away as California, Colorado, Malaysia and Japan. Don Hubele, an ordained minister, began the afternoon by reciting a Psalm and offering words of encouragement. Belhaven University’s faith-based curriculum was a unifying draw for many of the out-of-state students. Katie Allen, a junior from Woodland Park, Colo. said the fact Belhaven is one of the few Christian universities in the country to offer a creative writing degree was a driving force behind her ending up in Mississippi. She also was intrigued by the opportunity to integrate herself into a close-knit community of teachers and students. Mercy Lay and Patience Lay of Malaysia were among the first to arrive for the Thanksgiving meal. As the twins helped the Hubeles get dishes ready, they got a crash-course in the uniquely American holiday. The Lay sisters, 27, will graduate in the spring with degrees in dance. Patience said they tried for six years to find a Christian university that offered a dance degree. They said their only hope was to leave their country. “It was amazing how God made us know about Belhaven,” Patience Lay said. 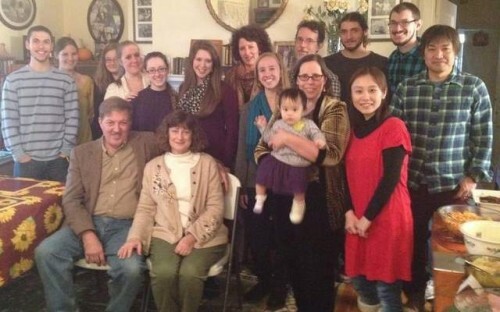 The Lays’ parents attended a wedding in Kuala Lumpur and were seated next to a stranger who had a daughter pursuing a dance degree at Belhaven. After receiving information from the man would become a family friend, the man placed a late-night call to her daughters. The Hubeles expressed sadness it would be the last Thanksgiving spent with the Lay twins. It will be growing in its breadth of information in the coming days, but you can see the start of what Nursing will look like HERE. KANSAS CITY, Mo.-The Belhaven men’s soccer team will host the University of St. Thomas (TX) in the 2013 NAIA National Championship Opening round on Saturday at H.T. Newell Field. The Blazers were awarded the number eight seed when the official bracket was announced by the national office on Monday. Saturday’s kickoff is slated for 7:30 PM. Belhaven is making its 10th overall appearance in the national tournament and has an all-time record of 14-8-4 in NAIA National Tournament play, including National Championships in 1992 and 2012. The Blazers defeated Tennessee Wesleyan College 5-0 in the 2012 NAIA National Championship Opening Round and ultimately advanced to the championship contest, defeating the University of Mobile 2-0 for the programs second national title. This will mark the second time that Belhaven has played St. Thomas in the NAIA National Championship Opening Round. The Blazers defeated the Celts 2-1 in 2010, the first opening round appearance for the program in the new national championship tournament format. Belhaven is unbeaten at 3-0 in opening round games in the new format. St. Thomas enters the tournament with an overall record of 13-3-2 and punched their ticket to the field of 32 by winning the Red River Athletic Conference Tournament Championship. This is the second appearance by the Celts and first since 2010 when they played the Blazers at H.T. Newell Field. They are looking for their first win in national tournament play entering this weekend’s game with a record of 0-1. The National Championship Opening Round will be comprised of 32 teams playing at 16 on-campus sites on Nov. 23. The winners of the National Championship Opening Round games will advance to the final site from Dec. 2 – Dec. 7 in Montgomery, Ala. The 15 final site contests will take place at the Emory Folmar YMCA Soccer Complex. The official NAIA National Championship bracket can be viewed by clicking here. As we near the end of the semester our schedule is packed with a variety of performances from the work students have been developing this year.